The Brazos Valley is quickly becoming a foodie’s paradise. 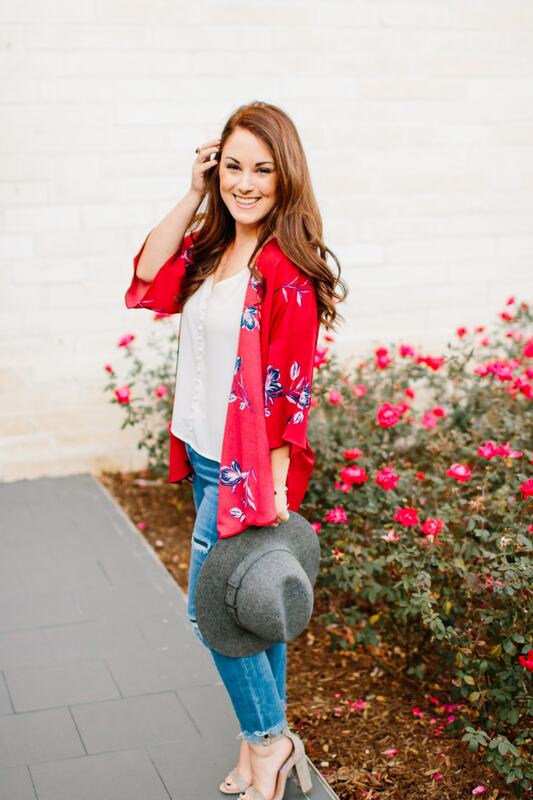 With new restaurants opening up, what seems like daily, there just aren’t enough days in the week to enjoy everything Bryan/College Station now has to offer… but I’m going to give it my best try! 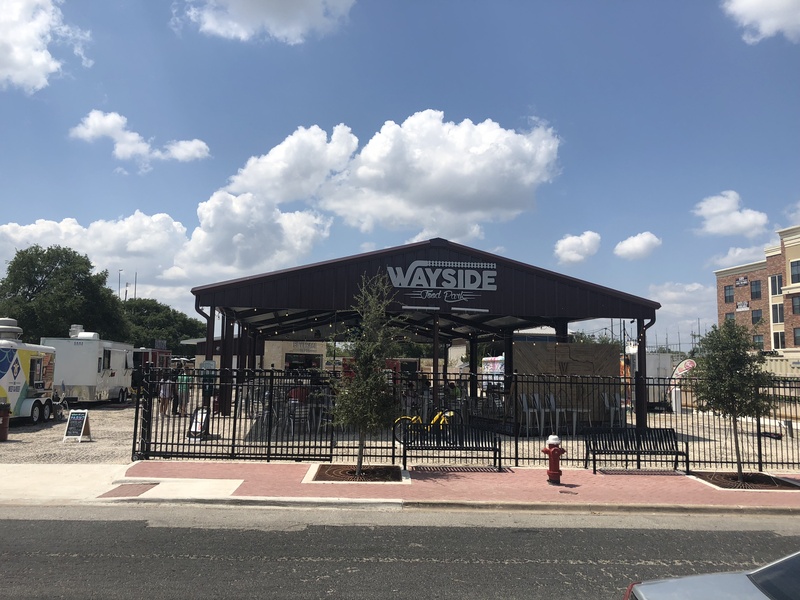 It’s exciting to see new concepts come to the area and one that I’m really excited about is the new Wayside Food Park, located at 203 First Street in College Station’s historic Northgate district. 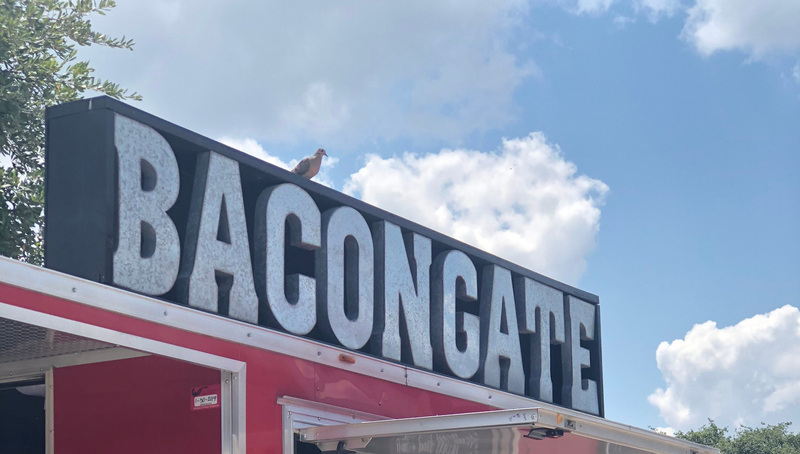 Northgate is most notably known for it’s vibrant nightlife scene inclusive of bars, pubs, food, live music and now home to Aggieland’s first food park. Purchased in 1912, Texas A&M originally dedicated this land for the future development of shopping and businesses. Although Northgate was not established until 1972, the area is now a thriving spot for college students, visitors and families. What do you need to know before you go to the food park? Adjacent to the Northside of campus, parking can be limited at Northgate. Wayside has done an excellent job of educating customers on where they can and can not park. When we visited, we found a great spot directly across the street in the Coyote Parking lot, but remember to bring cash for this lot, credit cards are not an option. Further down the street there is paid parking with numbered spaces and of course the Northgate parking garage, but be prepared to walk a few blocks. The food park is dog friendly. So plan to bring your furry friend along, but make sure they are on a leash. With this Texas heat you will also want to bring a dog bowl and Wayside will be happy to fill it up with water for your four legged friend. Plan to stay awhile. From giant Jenga and Connect 4, yard games and live music, Wayside Food Park is a great place to grab a beer, gourmet food and hangout with friends. The covered pavilion and large seating area makes it inviting for guests to sit back, relax and stay awhile. Probably the biggest problem we had once we toured the Food Park was actually deciding what to eat… every food truck smelled amazing and the menus left us drooling. After hearing wonderful things about a new food truck in town that is dedicated to “Sweet and Savory Southern Snacks”, I was sold. Our first stop was The Deaux Company food truck. Husband and wife duo – Texas A&M grad, Garrett, and LSU grad, Sarah – cook up late night snacks all day long. Featuring three menu options, I just couldn’t say no to Fried Chicken and Waffles. If they would have sold me a bucket of the chicken, I would have done it, it was that good. Finding myself limited on belly space, I will be back to try out their other two menu items that I know will be equally satisfying to my curated southern pallet. Luckily I had brought along my friend Cait, who puts up with my blogger craziness, and generously agreed to share her grilled cheese from the BaconGate food truck. I will say this went along nicely with my chicken and waffles, just in case you were wondering, it was a nice pairing. We tried the gourmet bacon grilled cheese and my little Texas soul was so happy when our lunch arrived in true Texas fashion – garnished with a Texas flag. Beyond the Texas flag, the grilled cheese was exactly what I expected, delicious. I will say that I would like to try “The Elvis” next time… Hawaiian bread, creamy peanut butter, sliced bananas and finished with candy bacon. We were only able to try out food from two trucks during our visit, but we can’t wait to go back and try out the many other equally amazing food trucks that Wayside Food Park has to offer. You can follow Wayside Food Park on Facebook, Twitter and Instagram. 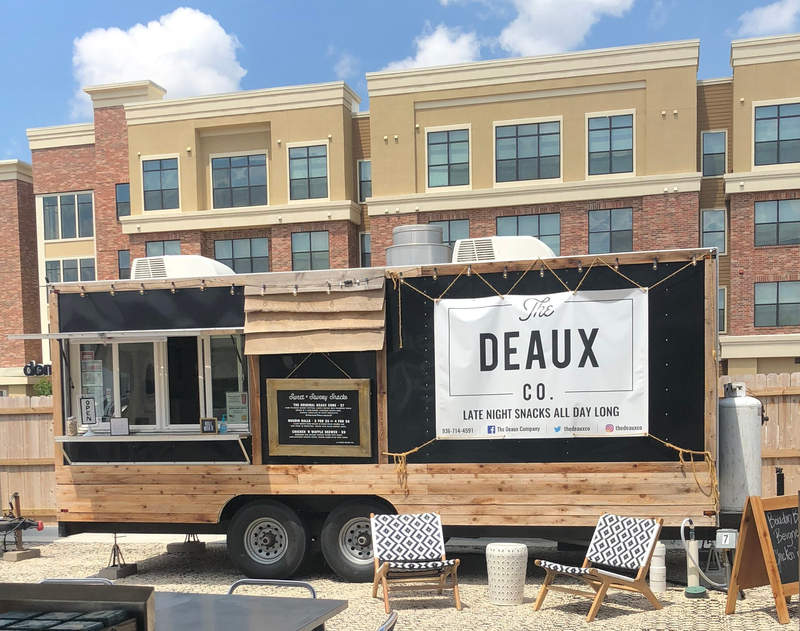 Both The Deaux Company and BaconGate food trucks have Facebook and Instagram accounts, so give them follow and more importantly stop by and try out their food!